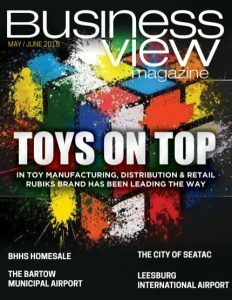 Business View Magazine interviews Frank Stiebel, President and Co-Owner of Stiebel Eltron, as part of our focus on energy/solar in the commercial sector. The company employs approximately 3,000 people worldwide, with manufacturing plants in Holzminden, Germany; Eschwege, Germany; Slovakia, Thailand, and China. 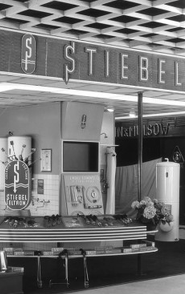 Western Hemisphere operations are based in West Hatfield, Massachusetts, where Stiebel Eltron maintains a sales, service, distribution, and spare parts facility. The company has been in North America since 1980. North and South American business is taken care of from the Hatfield, Massachusetts location, by a highly-skilled team of 40. From there, they assist the Germany operations with engineering products, and do a small amount of assembly work. Many of their other products come already assembled. Most are brought from Germany, but they also have a plant in China, where they source electric space heaters, and a plant in Slovakia, where they source the heat pump water heaters. 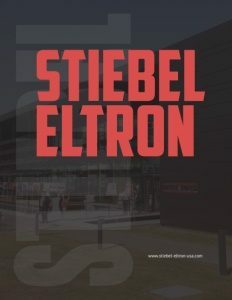 The majority of Stiebel Eltron products are for residential use, except hand dryers and the small point-of-use tankless electric units and mini-tank units, which mostly go into commercial applications. The biggest product in terms of North and South America sales volume (65 to 70 percent) is the tankless hot water heater. Stiebel jokingly dismisses the competition: “As for the others, they’re not really in our league, so we don’t consider them competitors. Seriously, though, we have competition in every arena. The biggest on the tankless side is EEMAX. When it come to hand dryers, it’s mostly World Dryer and Excel. We do about eight trade shows per year, including IBS (International Builders Show), AHR, Green Build, and NESEA (New England Solar Energy Association). Plus, the plumbing industry has their own shows, so we do quite a few.” The company sells to plumbing wholesalers, never directly to the consumer. They have a dual, two-pronged sales strategy – plumbing distribution is one avenue. The other is retail, where they sell through Home Depot, Amazon, Menards, and Lowes. Check out this handpicked feature on Haines City, Florida – One City, One Vision.